Information and links for personal growth, evolution, healing, and poetry to soothe and humor the spirit. Links and information for ecological health of the planet and its family. Working with the Lakota, from grandmothers to little ones , in an heartwarming, sustainable building project on sovereign land. SCROLL DOWN FOR HEARTENING READ! Santa Cruz, California and Wounded Knee, South Dakota. We are building natural earth (cob) houses. This is about the children! 3. Grandmother to Grandmother was born and a second summer building camp was followed in 2005 with the specific intention to begin building a cob house for one family (as a prototype). 2006... the third year building camp is underway and YOU are invited!!!! "The dirt's been here all along!" HIGH FIVE: Help feed the hungry builders! Your dollars go most often for gas and bulk food for the camp. Little bills oil the wheels - click here now - no amount too small, every little bit helps. A group of five women and one wheelchair travel to the Pine Ridge Indian Reservation as volunteer labour to build a 'cob' house from the ground. Over the din of the ever-present wind the camera captures the flavour of a building site like no other. Characters and stories come and go between rock runs for the foundation of a house. Wild storms and flapping tarps are weathered with good-natured banter. Rare footage of Little Big Horn day shows Lakota keeping alive their warrior skills, such as dragging the injured off the battlefield with horse and rope. The shadow of the past is etched in stone in the grounds of the notorious Christian church at Wounded Knee. "It is time for the broken hoop to be mended." Pine Ridge Agency greeting Barry Brailsford on his "Journey of the Stone" to the (12) Nations in 1992. "The smallest spark gives life to the fire." We come to the fire. We warm the threads of our connecting. The building happens on many levels. We build trust and relationship. Now as I prepare to set foot in Lakota country again we are celebrating building those casas que cantan� 'houses that sing'. We trace one vibrant connection back to the New Zealand Waitaha and Wallace Black Elk. Barry Brailsford (Song of the Waitaha, Song of the Stone) was guided to bring the pounamu (NZ nephrite, jade, greenstone) to the Pine Ridge Lakota, as one of the twelve Nations on the North American continent. At Pine Ridge he delivered pounamu into the hands of grandmother, Emma Kills Enemy. It was 1992 and she was 85 years old, driving 100 miles every week to be a part of the Foster Grandparent's Programme, a gathering of grandmothers mentoring young Lakota parents. After this first stone ceremony, Barry was taken up to Wounded Knee by Tim Thunderhorse where another elder, Zack Bearshield, waited to receive him. Barry remembers; "the sun shone brightly and gave lustre to the greenstone I gave into his hands.."
A decade down the road, and Freda Yellow Hair is with us here in Santa Cruz. Paxe arrives from New Zealand. She is chairperson of Tui now, the oldest intentional community in New Zealand, near Golden Bay, Nelson. Maggi Moon had been their maintenance person for a period of time and Paxe and Maggi grew dear to one another. Hence Paxe is here at my door. She carried with her the pounamu greenstone; she thinks, for me. But as soon as she lays eyes on Freda she knows that it is to this Lakota woman she must give the stone. And as for our Sister 'City' aspirations� 60 Years ago, in the aftermath of a war that tore at the fabric of humanity, a United States president initiated the 'Sister City Program', a structure to enable communities to share and bring out the best in one another. The City of Santa Cruz has taken the first steps to name this relationship with Pine Ridge Lakota. The initiative, unprecedented in the history of the United States and the Indian Nations, has been approved by Sister Cities International and now is in our hands to form the words, in Lakota & English alike, that speak to what it is we are birthing in our inter-weaving. All this is lit up in me as I prepare for the 3rd year to go to Pine Ridge. Despite the distance, despite our history, we have somehow found our way to one another and something new has begun. Steering steady on a journey that is as yet untitled, we step unerring towards a destination fashioned elsewhere, designed to nurture life in all of us. of the North American Indian. "I tell you now, there is no reason to be afraid." "We are all woven together in a single garment of destiny." Martin Luther King Jr.
"May all be loved, may all be healed, may all be fed"
On the Pine Ridge reservation in South Dakota, below poverty level conditions have existed since the Wounded Knee Massacre occurred there in 1890. Today in the Lakota Nation, at Wounded Knee and on the Pine Ridge reservation, as is true with many US reservations, the housing stock is ugly, inadequate and scant, strangely fitting an old Lakota prophesy from long before the white man came. It was prophesied (by a Lakota elder) that one day the Lakota People would live in grey boxes and be starving to death. In actuality, Lakota get federal government food 'commodities'. Commodities are supposed to mean basic (life-sustaining) foodstuffs but these staples (rations) consist of white flour, white sugar goods that are certainly contributing to the deteriorating well being of a People. Pine Ridge Lakota has one of the highest suicide and accidental death rates worldwide, and one of the worst youth suicide epidemics our world has ever seen. Let us put our minds together and see what future we can build for our children. WOMENRISE FOR GLOBAL PEACE in Santa Cruz responded to this cry. It is about the children. "Another world is not only possible, she's on her way. On a quiet day, I can hear her breathing." WomenRise, with Pine Ridge Lakota, and others who come from far and wide to weave in the spirit of renewal, get to be a part of this awesome unfolding. -- We can live in celebration and respect for all life and love. Sketch history of this lineage: Fort Laramie Treaty of 1868. This treaty placed the Oglala Sioux on the Great Sioux Reservation. In 1889, after the federal government confiscated 7.7 million acres of the Sioux's Black Hills, the Oglala were assigned to live on the Pine Ridge Reservation. The reservation is second in size only to the Navajo Reservation in the southwest U.S. In 1890 over 300 residents of the Pine Ridge Reservation were slaughtered by U.S. government troops near Wounded Knee Creek on the reservation. In the 20th century, the U.S. Supreme Court ruled that the federal government must pay the Oglala and other Sioux Nations tens of millions of dollars in compensation for illegally taking the sacred Black Hills. 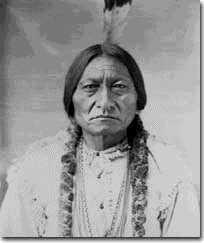 To this very day, the Oglala have refused to accept this settlement money as a matter of principle.